Slide ANY SLIDER to conceptually see the meaning of a particular trigonometric ratio within this right triangle context. You can move the 2 LARGER WHITE VERTICES of the triangle anywhere you'd like. 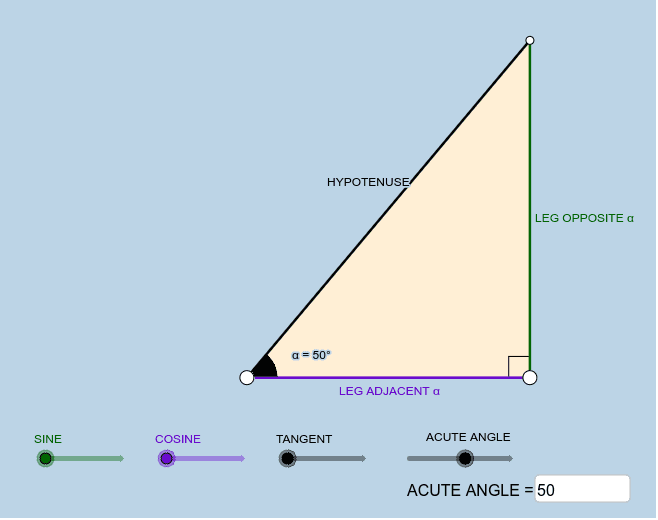 You can also change the size of the black acute angle via slider or input box.